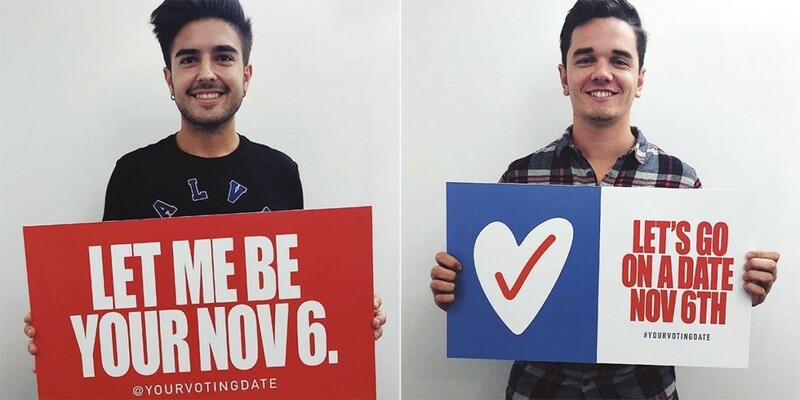 Ezequiel Consoli and Kyle Harrison, creatives at McCann New York by day, created 'Your Voting Date' as a side project to get out the vote. If politics and civic responsibility are such passionate topics, why is voting such a solo experience? Sure, you cast your vote in private, but that doesn’t mean Nov. 6 can’t be a social—or perhaps even romantic—occasion. That’s the idea behind Your Voting Date, a light-hearted but insightful side project from two young McCann New York creatives, Kyle Harrison and Ezequiel Consoli. The Instagram-driven effort asks voters to find a date for Nov. 6 so that they can hit the polls together and then, hey, see where the day takes them. The strategic insight here is that getting voters out in pairs or groups increases their likelihood of actually casting ballots in this year’s midterms, and it also might raise awareness of the elections among those who aren’t quite as up to speed as the people doing the asking. The creative duo’s idea has found fans in a few different brands and organizations, including dating app OkCupid, which will be cosponsoring a “DTFind Your Voting Date” networking event from 5:30 to 8 p.m. Nov. 1 at 684 Broadway in New York. Other sponsors include gender-free retailer and community center The Phluid Project and and Callen-Lorde Community Health Center. Adweek: Where did this idea come from? 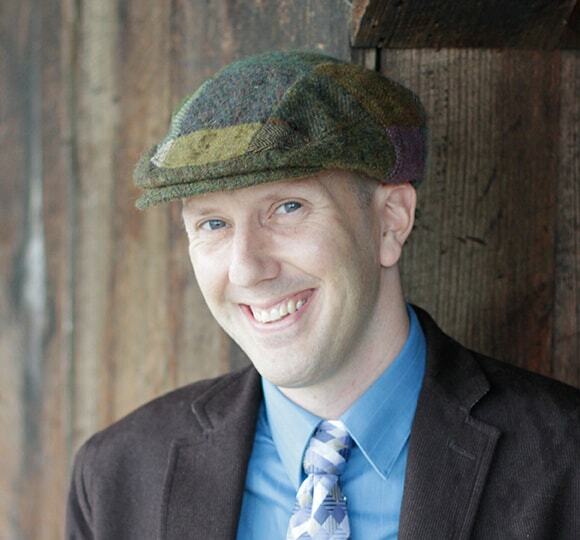 Kyle Harrison: We’re both very passionate about trying to make change. We were actually part of the core team behind the Pride Train campaign around NYC. This year, with so much at stake this midterm election, and with traditionally low turnout from young voters, we wanted to find a way to get people to the polls. We had a bunch of ideas, but eventually we thought about how our generation loves dating, specifically on dating apps. So, we decided to turn voting into dating. We started this as a team effort, meaning us two would be taking people on voting dates. While that is still a part of it, it evolved into trying to make the idea of a “voting date” a widespread part of culture. There are lots of get-out-the-vote efforts targeting young people. What niche do you feel this one fills? Ezequiel Consoli: We’re glad to see so many people passionate about voting and we think there are so many great campaigns out there. However, we feel some can be a bit aggressive and put a lot of pressure on young voters, which can be intimidating. So, we wanted to create a campaign that makes voting fun. Plus, many campaigns leave out people who are passionate about voting but can’t, due to citizenship or any other reason. With this campaign, we give them the opportunity to be a part of the process by accompanying someone to the polls. So what might a Nov. 6 voting date look like? Harrison: It could be anything! Your voting date could be a friend, a stranger, a romantic suitor—anyone you’d like to spend time with this Nov 6. So, the date could mean getting to know someone new, discussing the candidates, or finding a new partner to make a change with—all while waiting on line to cast your vote. Ultimately, it should simply make going to a vote a more enjoyable experience. How will the Nov. 1 speed dating event work? Is the goal to meet someone you could re-connect with on Nov. 6? Consoli: Yes! That’s the goal. It’s not so much speed dating, more so just a fun mixer to find like-minded people passionate about making a difference. If people find a voting date for Nov 6, that’s great! If not, hopefully they’ll at least be encouraged to vote themselves.